Mexico offers something for everyone. For nature lovers has whales, the migration of the monarch butterfly, coral reefs along the coast of Yucatan and the thickest tree in the world in Tule, Oaxaca. 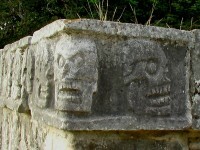 Those who appreciate the small pleasures of life can choose the sleepless nights in the clubs on the famous beaches of Cancun for archeology fans there are hundreds of remains of the ancient civilizations. 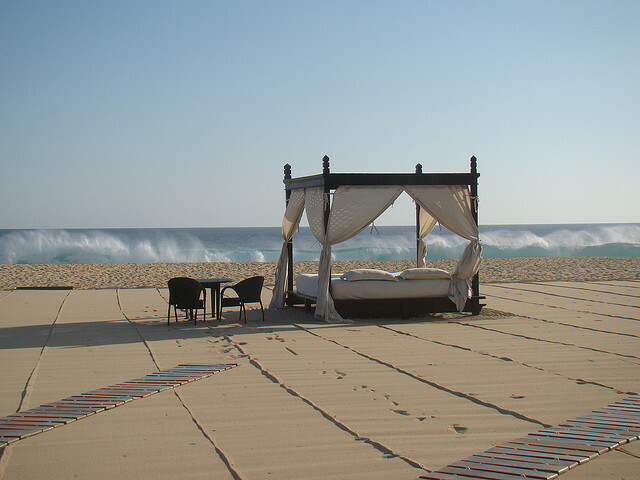 For sunny seaside holidays Mexico has 10,000 miles of coastline! Today we presnt you the top 5 beach resorts in Mexico. In the region of Quintana Roo in Indonesia almost everything focuses on activities including water skiing, snorkelling and scuba-diving, the last one usually practiced along the Mesoamerican Barrier reef system, the second longest in the world after the Great Reef Barrier on the coast of Australia. While the swimming beaches and luxurious hotels are the major attractions of the resort of Cancun and the areas of the Maya Riviera, travelers are invited to visit places such as the Underwater Museum. Dining and shopping experiences can not be set aside, as well as the archaeological sites of Tulum, Chichen Itza or the guinea pigs. 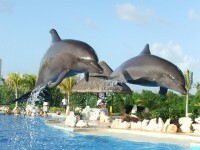 Although we already mentioned it as a part of Quintana Roo, we have to say some more things about Cancun. 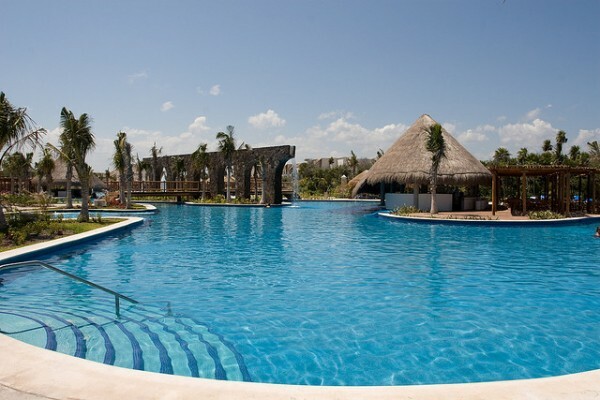 If the perfect holiday for you means beaches and the warm water of the sea, Cancun is the perfect plce for you. 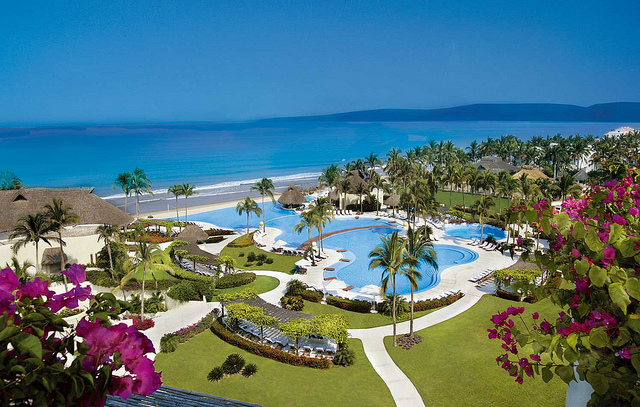 It is one of the top 5 beach resorts in Mexico and it is considered one of the most popular places on the planet. 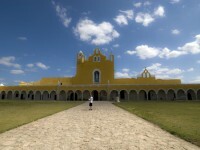 It is the first choice of tourists from North America and one of the most popular of those from the old continent. Cancun its the surrounding treasures like Holbox, Isla Mujeres, Cozumel, Isla Contoy and the small fishing village of Puerto Morelos receive every year 3 million visitors together. Known for its natural features and high temperatures, Baja California Sur is the merge of the ocean with the desert. 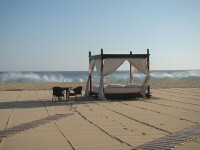 Los Cabos is one of the municipalities of Baja California Sur and a famous beach resort of Mexico. It is accessible from one of the many airports from the southern United States as Los Angeles, San Francisco and Santa Monica. Its excellent location, with the Cortes Sea on one side and the Pacific Ocean on the other side, gives a feeling of a sanctuary island. 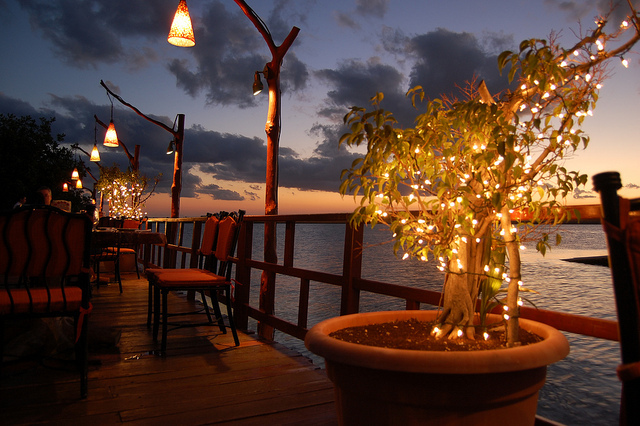 The area is full of first class resorts and spas, beaches and perfect climate almost all year round. La Paz, the capital of Baja California Sur, is more an economic, cultural and administration center than a holiday destination, even if attracts each year enthusiasts of Eco-tourism to enjoy the wonders of marine and water-related activities. 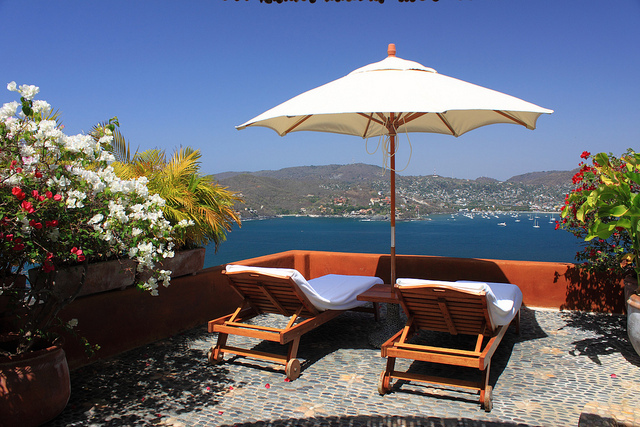 Zihuatanejo and the modern resort of Ixtapa next to the city is an important tourist resort situated at 200 kilometers north of Acapulco and is one of the top 5 beach resorts in Mexico, occupying the third place after Cancun and Puerto Vallarta, especially for angling enthusiasts. Once was an anonymous fishing village, then gained worldwide reputation in the 1970s, when the Mexican government built the resort Ixtapa, with the desire to have a resort like Cancun on the east coast. Puerto Vallarta is one of the major destinations in Mexico, particularly among Americans and Canadians but lately among Europeans as well. Most tourists associate Puerto Vallarta with beaches and sea water, but the city is also hosts the most dynamic art scene in Mexico. The village is also popular because of the generous selection of restaurants from the tacos stands on the beach to the first class locations with panoramic views of the coastal zone. Riviera Nayarit is a region preferred by the hotelier developers in the last decades and it is located at just several minutes from the Puerto Vallarta airport. The area includes the exclusive Punta Mita resort, with some of the most luxurious hotels in Mexico and the tourist town of Rincón de Guayabitos.